On January 12, 2018, Leah Abelon, GSAT Center Coordinator, provided technical assistance to Clifford Ray Hackett, who was the first recipient of technology through the iCanConnect – The National Deaf-Blind Equipment Distribution Program (NDBEDP) administered by the Helen Keller National Center (HKNC). The NDBEDP is a national program designed to help the many thousands of people in the U.S. with significant combined hearing and vision loss to connect with their family, friends, and community through distance communication technology. For those who qualify for the program and meet income eligibility guidelines, equipment and training for distance communication is provided for free. 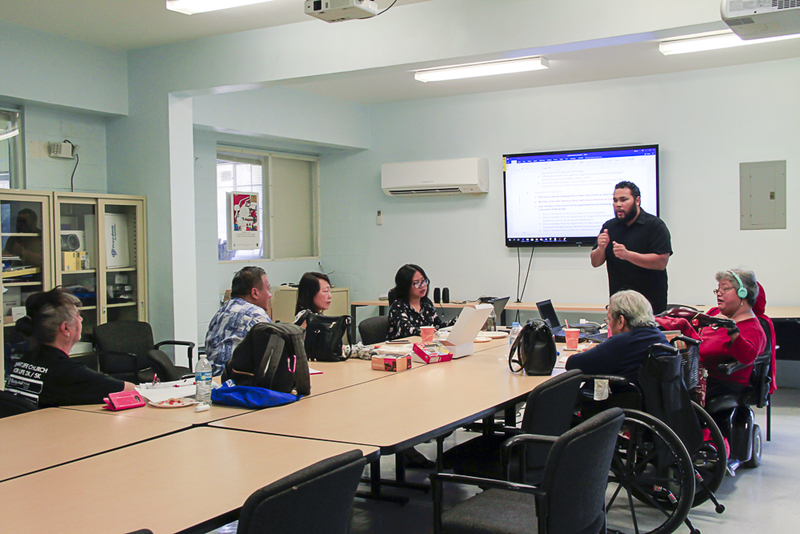 Guam CEDDERS recently established a collaborative relationship with HKNC to assist with demonstration, training, and technical assistance of Assistive Technology for individuals who are eligible for program support. The GSAT Advisory Council Executive members held their quarterly meeting on January 9 at GSAT, House 19. (Pictured L-R, clockwise) Barbara Johnson, Secretary; Ben Servino, Department of Integrated Services for Individuals with Disabilities (DISID) Director; Lou Mesa, Chairperson; Leah Abelon, GSAT Center Coordinator; Evangelis Babauta (standing), ASL Interpreter; Evelyn Duenas, Vice Chairperson; and Josephine Cortez, Member at Large. (Not shown) Dawn Maka, Member at Large. The executive members meets to developand approve the agenda for the upcoming GSAT Advisory Council General Membership Meeting on January 23, 2018. On January 11, the State Rehabilitation Council, held its first Executive Meeting at the DVR Conference Room. (Front row, L-R) Jeanette Yamashita, Planning and Resource Committee Chairperson; Laura Taisipic, Planning and Resources Committee Vice Chairperson; and Barbara Johnson, Services Committee member. (Second row, L-R) Ben Servino, Department of Integrated Services for Individuals with Disabilities (DISID) Director; Erlinda Tydingco, SRC Vice Chairperson; Lou Mesa, SRC Chairperson; Pete Barcinas, SRC Secretary; Leah Abelon, Outreach Committee Chairperson; and Edmund Cruz, Services Committee Chairperson. 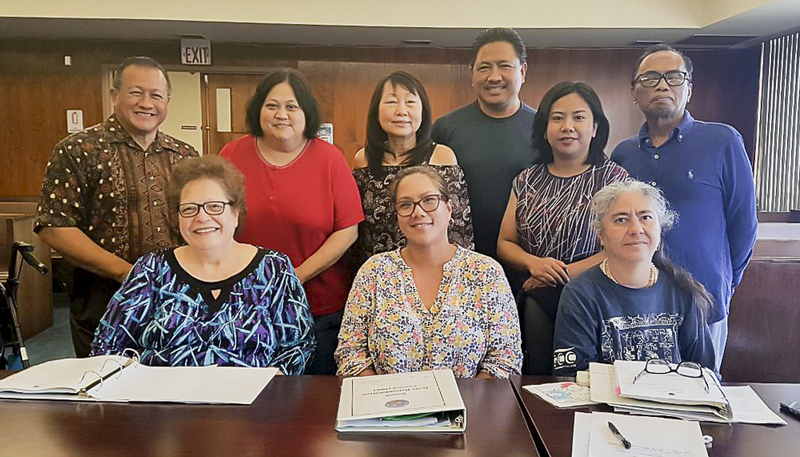 The State Rehabilitation Council provides clients of the Division of Vocational Rehabilitation with a mechanism to influence the direction of the rehabilitation programs in Guam at the System Policy Level.